Never in the history or in any state, in Telangana State 119 Residential Schools have begun on a single day. Of this 56 for boys, 63 for girls. In the first year students will be admitted into class V, VI, VII. Each Class will have two sections and in each Residential School 240 students will be admitted. In five years the Classes will be increased to 12th standard, and then each residential school will have strength of 640 students. In five years the strength in BC Residential Schools will be 91,520. Last year 71 Schools started for the Minorities and this year 121. Admissions will be upgraded to 8th standard this year. As on date, in Minority residential Schools, 50,000 students were given admission. In the coming five years, it will reach 1.30 Lakh. In BC/ST/SC/Minorities Residential (Barring Degree colleges in 741) schools 4,74,240 students will get an opportunity. Presently these schools are operating from rented premises. The Collectors are asked to identify and procure land for these institutions. It is estimated that 24,000 teachers are needed for these institutions. The process to appoint them in phased manner has already begun. The government has instructed the Telangana Handloom Weavers Cooperative Society to supply uniforms to the students. The government will supply the necessary text books and note books. 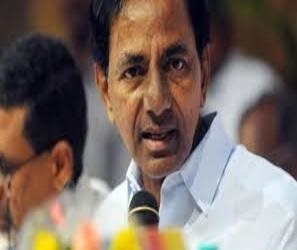 Chief Minister K Chandrashekhar Rao has hailed that on a single day all over the state as many as 169 Residential Schools have started out of 255 planned for the academic year 2017-18. The CM has congratulated the officials concerned for starting the Residential Schools on the first day of the academic year beginning aimed at imparting quality education on par with the international standards among the SC/ST/BC and Minorities. He called upon the students who joined these schools to take inspiration from Mahatma Jyotirao Phule and Babasaheb Ambedkar and come up in life. He said he is happy that as per the promise given in the election manifesto, the beginning for KG to PG education for the weaker and backward sections children has begun with the Residential Schools. He said that before the formation of the state there were only 259 Residential Schools for SC/ST/BC and Minorities and within three years of forming the state the government has taken the number to 527 and total schools will be 786 in future. Half of the Residential Schools are exclusively meant for the girls to encourage them, providing facilities and protection. On each student the government will be spending Rs 1.25 Lakh per year on an average. He said that in the government Residential Schools free education, meals and boarding is given to the students till Intermediate level. The CM said that his aim is to make even the poor student to get quality education and attain higher places in the society. He said that the government has started in a big way residential Schools with English a medium of instruction so that the students passed out of these institutions should lead the country in future and wanted the students take the best advantage of it. The CM also said that students passed out of the Residential Schools getting good ranks in the admission tests like the EAMCET, IIT JEE and getting into prestigious institutions in the country. What is the diagnosis of Cancer? Weight Control with "King of Fruits"